Factory installed permanent pin system. When concrete forms are outfitted with attached hardware, wedging is only required at top and bottom pin. 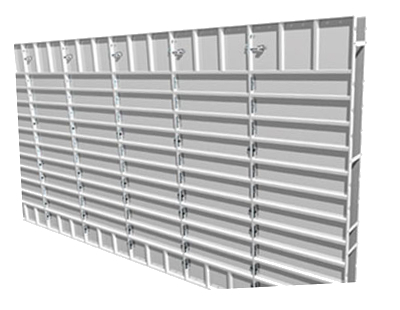 Available on 36" to 9" fillers, however, most contractors typically have it installed on 36" wide concrete forms only. On 108" concrete forms, most contractors do not utilize the top hole for a tie, therefore, many choose to place an attached pin which will aid in alignment - by simply engaging the pin. 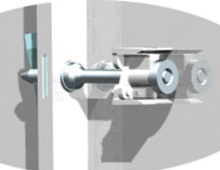 FastLock Attached Hardware System is retractable for use with loose pins. It has a rotational ball that allows for auto stowing for faster stripping. FastLock has a low maintenance housing, rust resistant coating, and a hardened nose that eliminates mushrooming. FastLock has a larger lead-in and loop that helps in stripping and also acts like a spring so it maintains its shape while eliminating the need for use of a wedge. 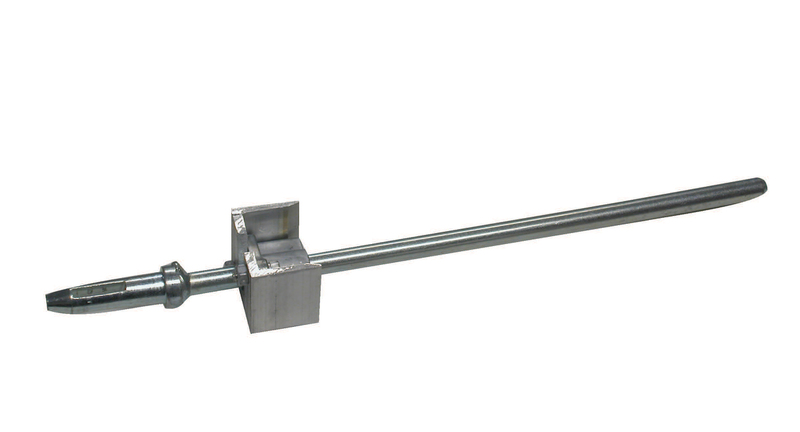 Long away pins are used on top and bottom pinholes of concrete form where rod must pass through vertical braces. Can be retracted and loose pins used. Available for panels 36" - 16" wide. Short away pins are used on all holes except top and bottom holes on 36" - 16" wide panels. 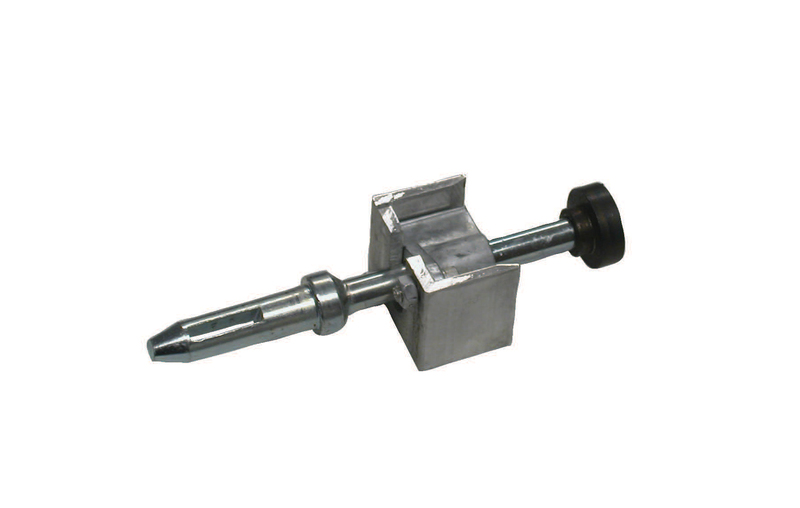 Can be retracted and loose pins used. 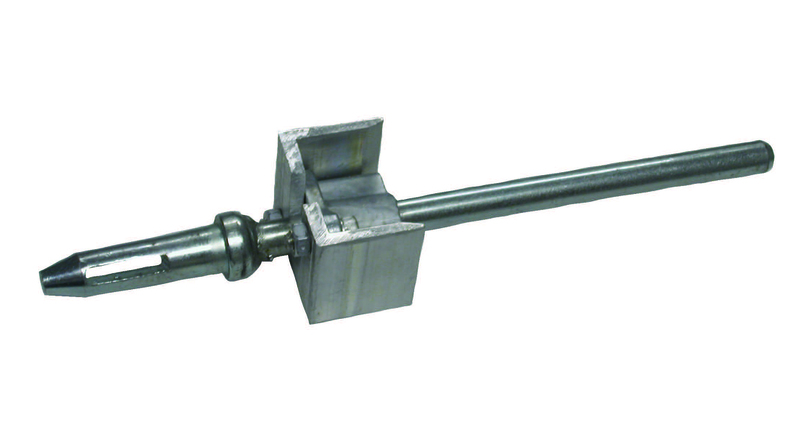 The short against pin is popular among contractors using 9' forms. Pins are attached at the top hole where tie placement is not necessary for alignment. Short against pins are also used on fillers 15" - 9" wide. These pins cannot be retracted in order to use loose pins.